The benefits of ductless systems are catching on in Pasco County, Florida. Ductless air conditioners boast maximum efficiency and convenience, increasing their demand even in humid subtropical climates like ours. If you’ve considered making the switch, discover a few advantages ductless systems offer. Ductless systems give you complete control over your home’s comfort levels. You can place them in any part of the home requiring additional cooling or create zones to accommodate different family members’ preferences. With a ductless system, you enjoy direct cooling precisely where you need it. Ductless units greatly reduce your carbon footprint. Since you can run each unit independently, you vastly reduce the amount of energy used to keep your home comfortable. More than that, ductless mini-splits are more energy efficient by design than their traditional counterparts, so just investing in one is the best choice for the environment. Since ductless systems are more efficient, you’ll start to notice significant savings on your energy bill. In fact, ductless systems can save you up to 30 percent each month. Imagine putting that money to use elsewhere. If your existing air conditioner is more than 10 years old or you’re considering HVAC options for a new-home build, ductless is the smartest upgrade. Unlike conventional HVAC systems, ductless units are practically silent because the biggest parts are located outside the home. The only thing operating inside is the ductless unit itself, which is noticeably quiet by comparison. You won’t have to worry about disrupted sleep or losing focus in your workspace because of a noisy AC unit. There’s more to ductless mini-splits than cooling. 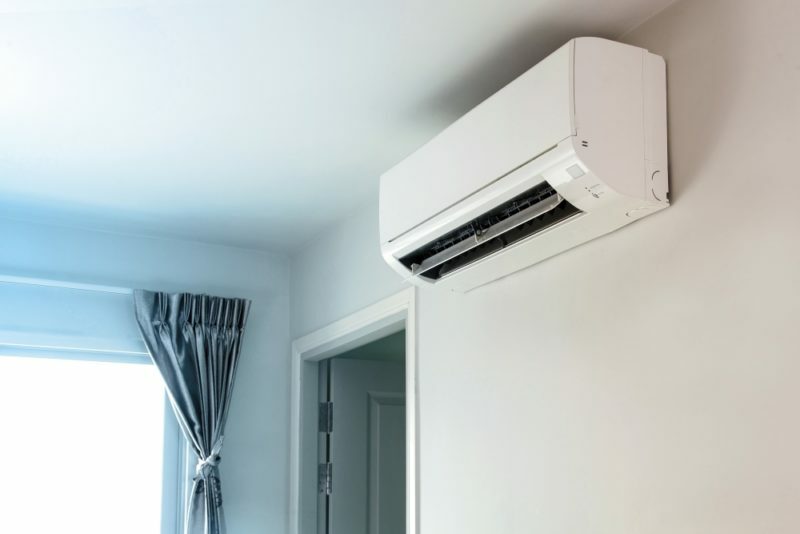 Ductless systems provide heating during the winter months, offering the same energy efficiency and boosted comfort levels as their cooling counterparts. When you upgrade to a ductless system, you enjoy both heating and cooling capabilities, ensuring you have a comprehensive solution year-round. Call Advanced Cooling Systems at 866-827-7662 to learn more about our conditioning solutions.